With all the excitement of meeting our awesome volunteers and getting the goody bags ready for this weekend we almost forgot to tell you about one more wonderful door prize for our after-party! 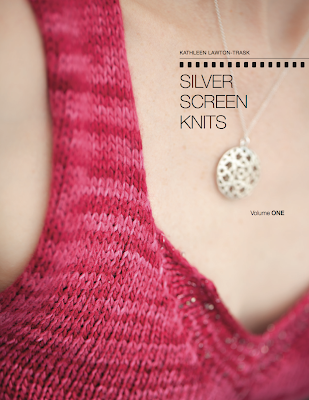 Our good friend Kathleen Lawton-Trask loves knitting at the movies and has put together a fantastic collection of knits inspired by the moving image in her new book, Silver Screen Knits - due out imminently! Kathleen has pulled together an incredible group of designers for this book including Ann Weaver, Veera Valimaki, Karida Collins and Danielle Romanetti. The patterns take their inspiration from various classic films but modernly-styled photographs and yarn suggestions show how these pieces are truly timeless. There's even a couple of classics for the guys! 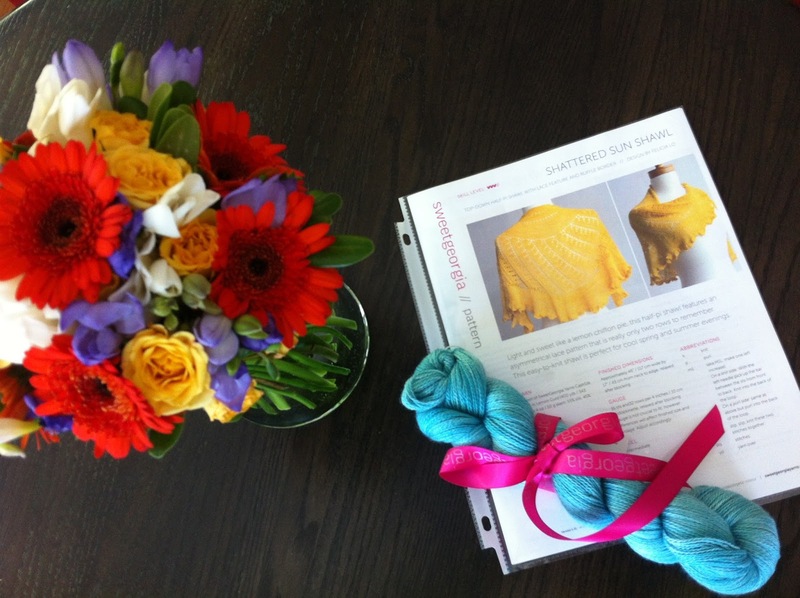 Kathleen (who has a sweater in Deep Fall 2013 issue of Knitty), also makes a contribution with her Marilyn Monroe Cables Sweater. 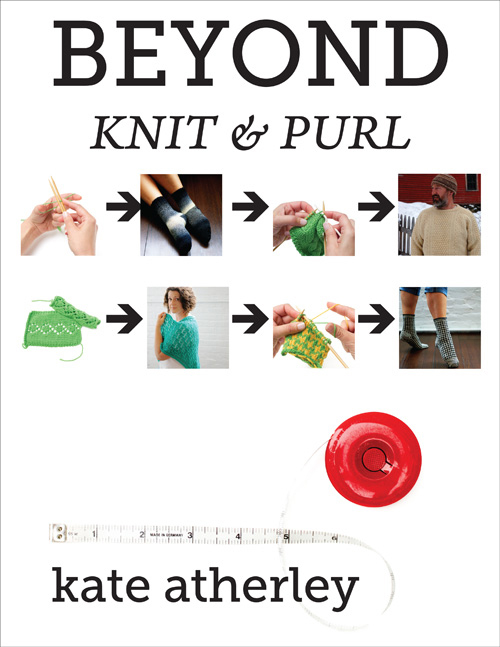 The book, available in print or as a download will be available in late-September but TWO lucky winners on Saturday will win download copies for their digital knitting libraries! 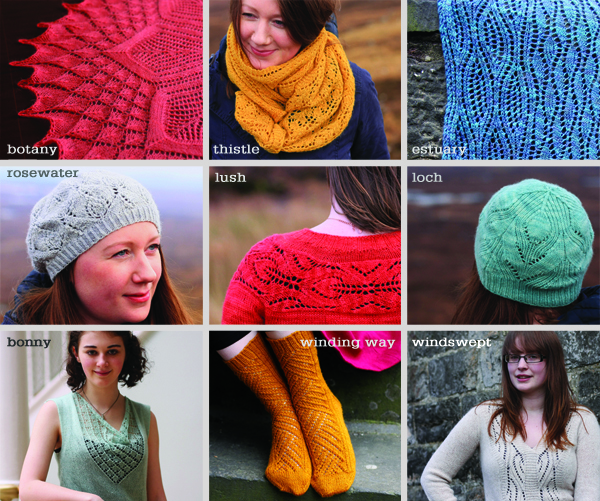 Kathleen will also be joining us on the day on the Purple route, so be sure to say hello, or knit with her over a pint at the after-party! 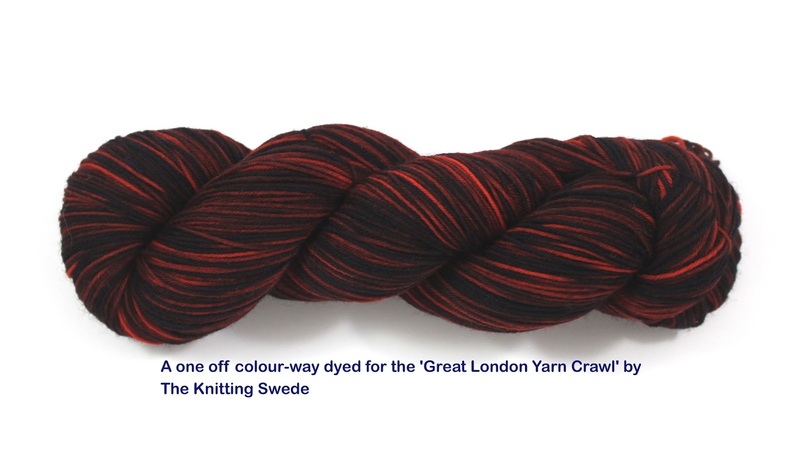 Here we are, one week out from the Great London Yarn Crawl, and we've got one last sponsor to tell you about. 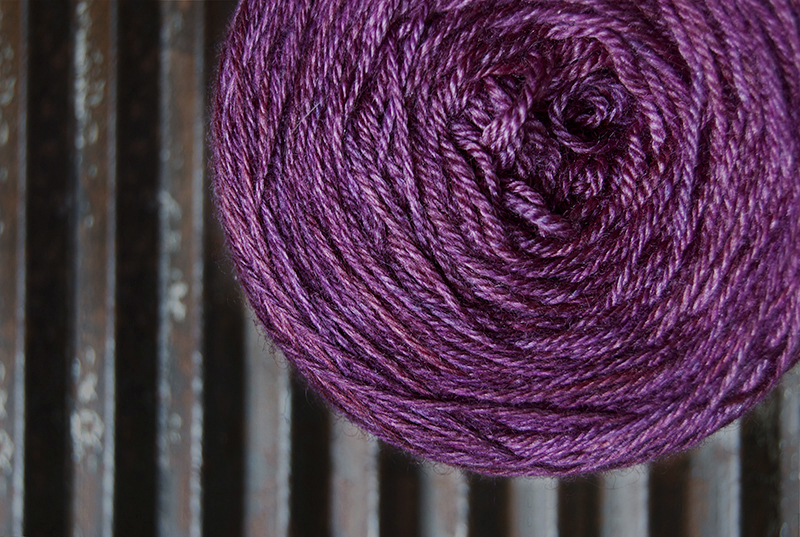 Linda is a brand new voice on the UK yarn dyeing scene, and already she's making a big splash. Colour has always been a huge part of her life. As a child, she was the always the one elbow-deep in the finger paints, glorying at the amazing way colours would mix. As an adult, she made the move from Canada to London for a masters degree in Fine Art Painting at Chelsea College of Art and Design in 2006. 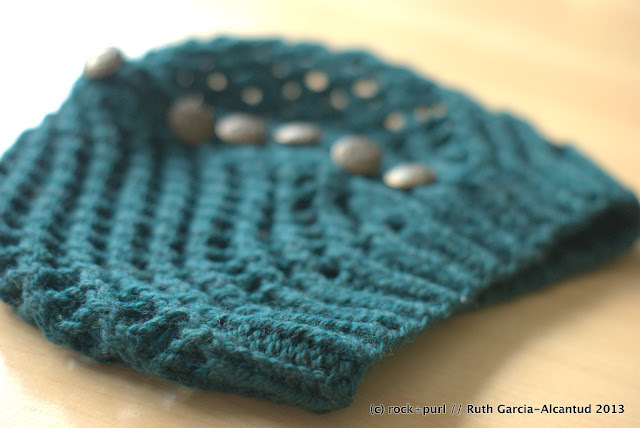 In 2013, she found the perfect combination - mixing subtle, glowing paint glazes with her steadily growing passion for knitting and all things yarn-y. 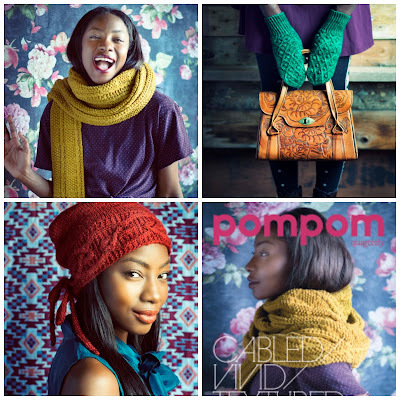 She initially began dyeing for her own projects but with repeated requests for custom colours this quickly grew into dyeing yarn for others. And at the beginning of this month, she opened her own shop - Kettle Yarn Co. - and hasn't looked back since. Linda's colours are amazing - rich, luscious, luxurious and captivating are adjectives that spring to mind. 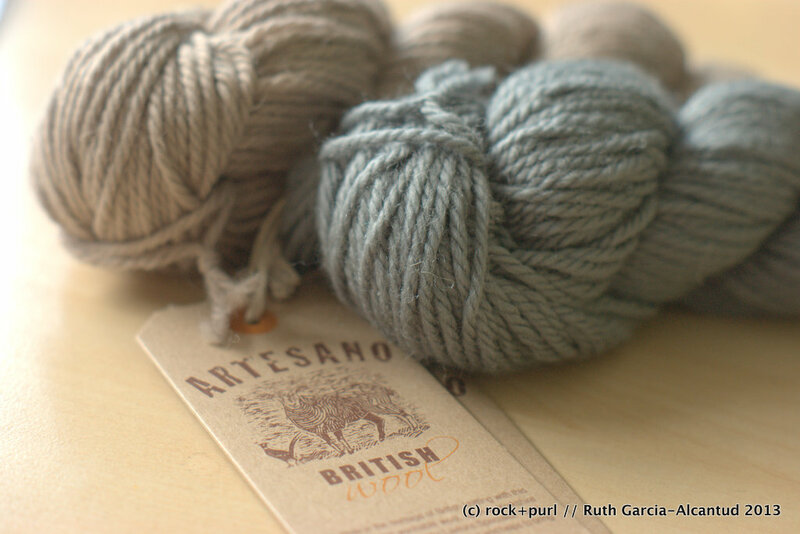 And she stocks an amazing collection of luxury bases sourced from British mills, with fibers that range from Bluefaced Leicester to alpaca to silk to camel. 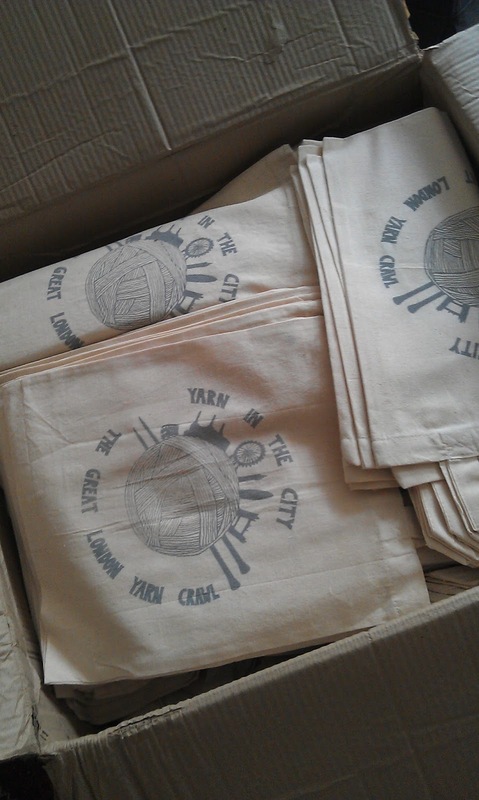 Yarn crawlers are going to find an extra special sample of one of Linda's buttery soft luxury yarns in their goody bags. She's also one of our fabulous Team Captains, so those of you on the Orange Route will have a chance to pick her brains to your hearts content. 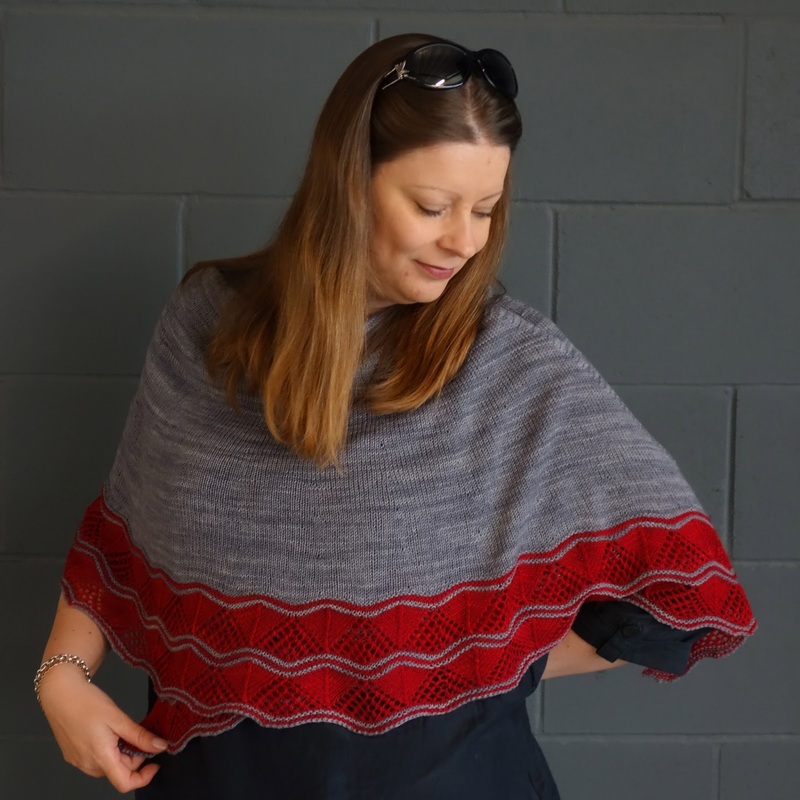 Linda is offering GLYC-ers a special 15% discount off their first order until the end of October if they sign up to the mailing list - just send her a message from the Kettle Yarn Co. Etsy shop and include your email and your route to get your discount code. You can find Linda online at her blog, From the Purlside, and on Ravelry, Twitter, Facebook and Pinterest. And a special huge thanks to Linda for her support - she was the first person we approached about volunteering, and her enthusiasm has been unbelievable. 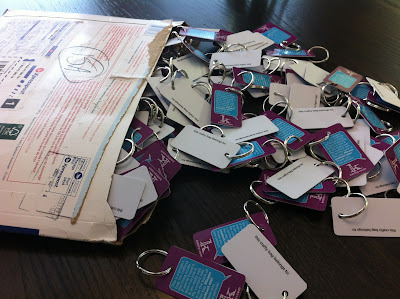 We've got one week to go to the event, and we hope you are all getting excited - we are! See you soon. 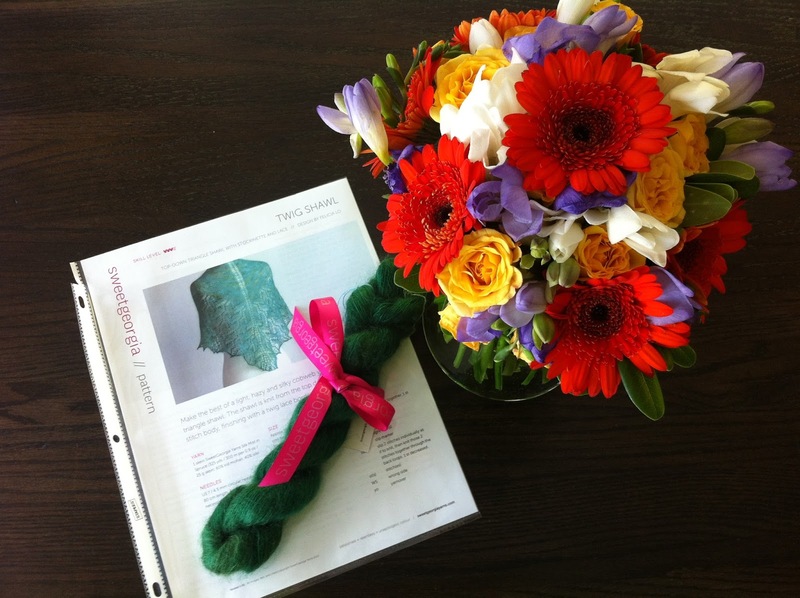 One of our most recent yarn prize sponsors is the lovely Tanja, the dyer behind The Knitting Swede. Tanja grew up in Sweden, but has been living in the UK since 1996. 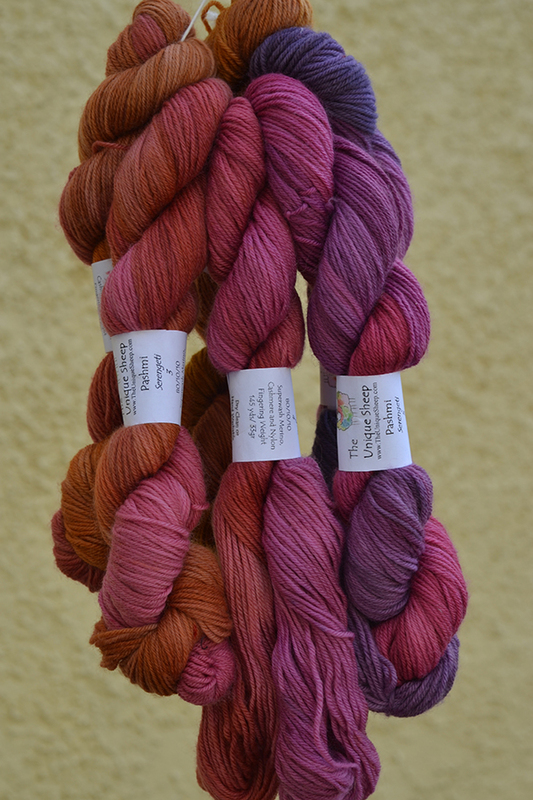 She dyes beautiful tonal semi-solids, bright variegated blends and fantastic gradients that slide gently from one color to the next. 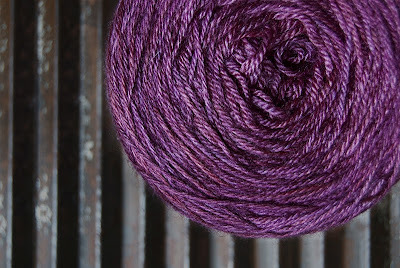 At the moment, most of the yarns in her shop are BFL, one of my all time favorite fibers. When Tanja responded to our initial email, she let slip that she had been inspired to dye up a special colorway just for the GLYC - she's offering up this skein as a door prize. In addition to this gorgeous skein of yarn, she is also donating a copy of her gorgeous shawl pattern, Rubies and Steel. 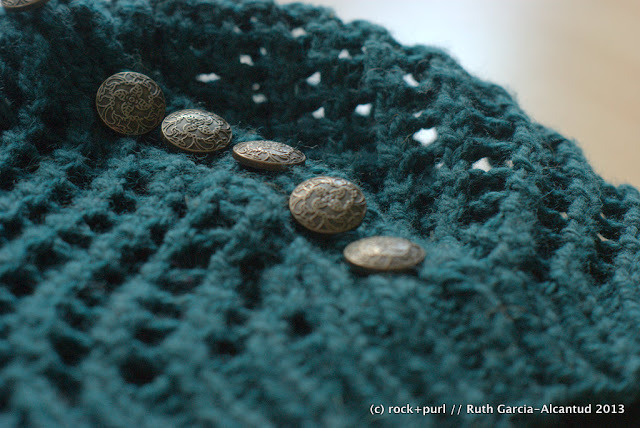 The GLYC colorway would be perfect for the accent color in this shawl, right? 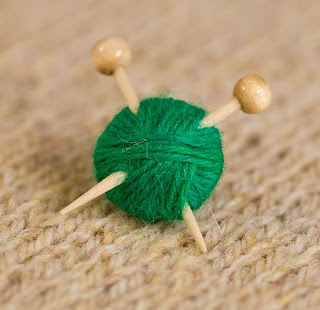 Many thanks to Tanja for her generosity - she's said she might be able to join us at the after party on Saturday at The Mulberry Bush, and you'll be able to talk to her about her gorgeous yarns in person. 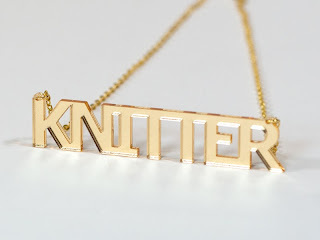 Emily Wessel is one half of Tin Can Knits – the modern knit design company that brought you the Pop Blanket, Antler Cardigan, and loves to size their adorable seamless sweaters from baby all the way up to adult 4XL! Two years ago, Emily arrived in the UK, on a quest for adventure with a plan to grow her knit design company from a part time pursuit to a full time career. Adventure (and plenty of late nights!) 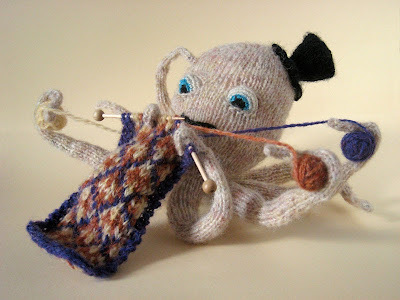 ensued - she is now married to an adorable Scot, has a kitten and a lovely home office, and has published four books: 9 Months of Knitting, Pacific Knits, Great White North, and most recently Handmade in the UK. 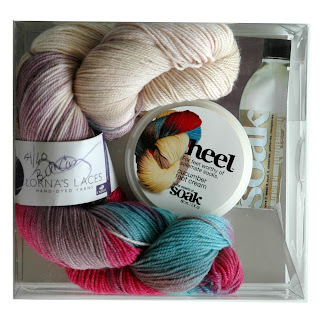 Handmade in the UK is a very special collection – it features yarns from amazing UK indie dyers including Juno Fibre Arts, The Uncommon Thread, Old Maiden Aunt, and Skein Queen, and sketches of the inspiring cityscapes and landscapes that Emily loves in her new home. 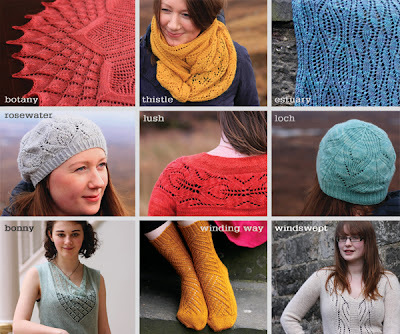 The lace designs are complex, organic, and delicious to knit, but also wearable and elegant. 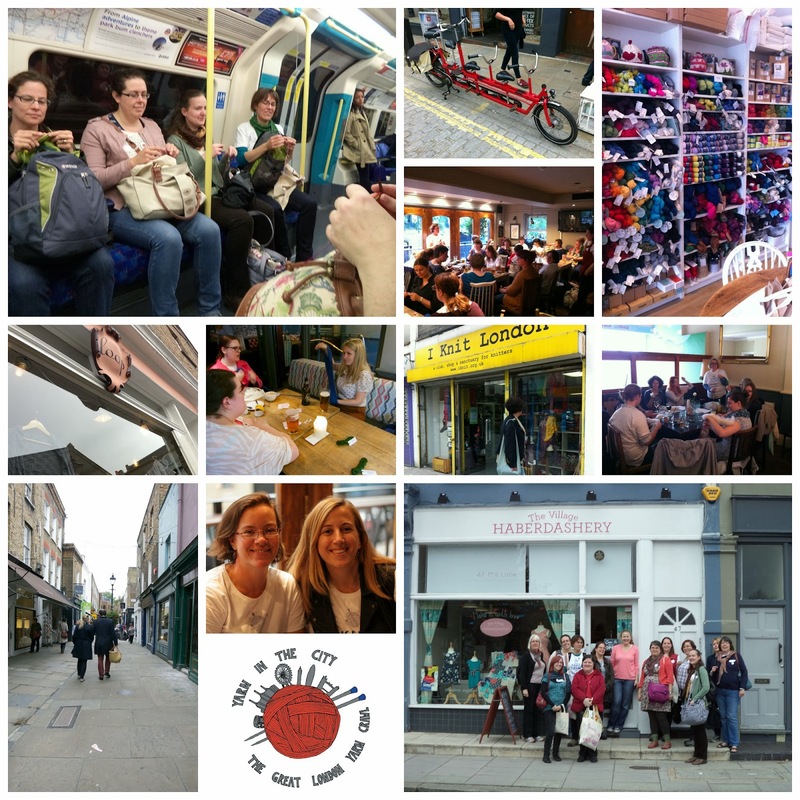 As a newbie to the UK, Emily is still exploring the knitting and design scene, and will be joining in on the Great London Yarn Crawl – You'll see her on the Orange Route, or at the pub afterwards! 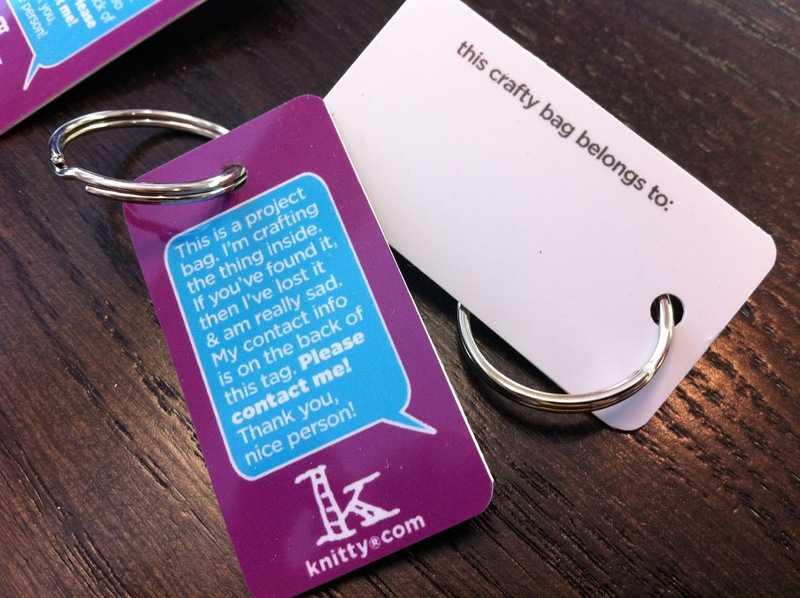 Be sure to introduce yourself and say hello (she's happy to sign books!). 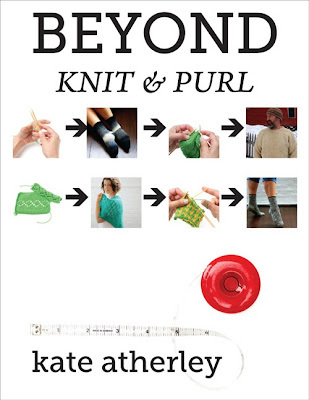 You can find Tin Can Knits books and patterns at Loop and at other knit shops. 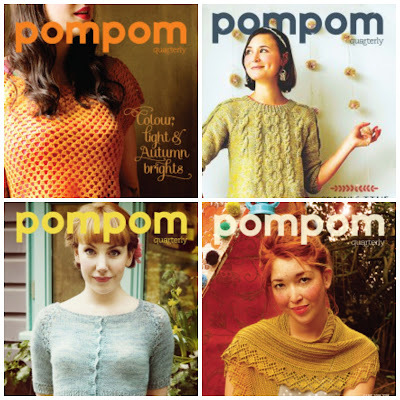 Each Yarn Crawl goody bag includes a code for a free copy of either the Antler Cardigan or Lush Cardigan pattern. 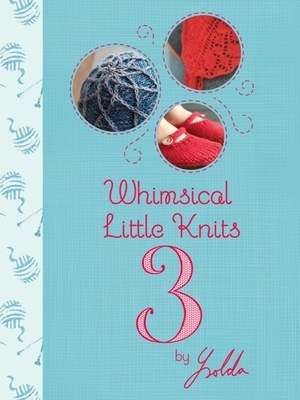 And if you join us in the pub for the draw, you have the chance to win one of 3 copies of Handmade in the UK!